Study English in Australia – Adelaide & Melbourne. SACE English Colleges have 30 years of English training experience and offer high quality English language courses. Choose between two unique school locations in Adelaide and Melbourne. Join other international students from Europe, Asia and South America for your Australian experience of a lifetime! SACE Melbourne is located in the city centre and overlooks the beautiful Yarra River, while only being a short walk from cafes and restaurants, shopping malls and major public transport hubs. 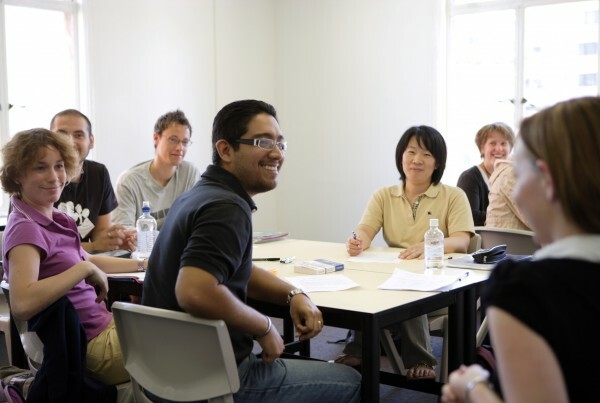 The school offers many options for students interested in further study at university, TAFE or local high schools after successfully completing their English course. Melbourne is one of Australia’s largest cities and is famous for being the cultural and sporting capital of Australia with events such as the Australian Tennis Open, Melbourne Grand Prix and Bells Beach Surfing Championship. SACE Melbourne is a newly built campus offering spacious class rooms with large windows, allowing for spectacular views of the city. 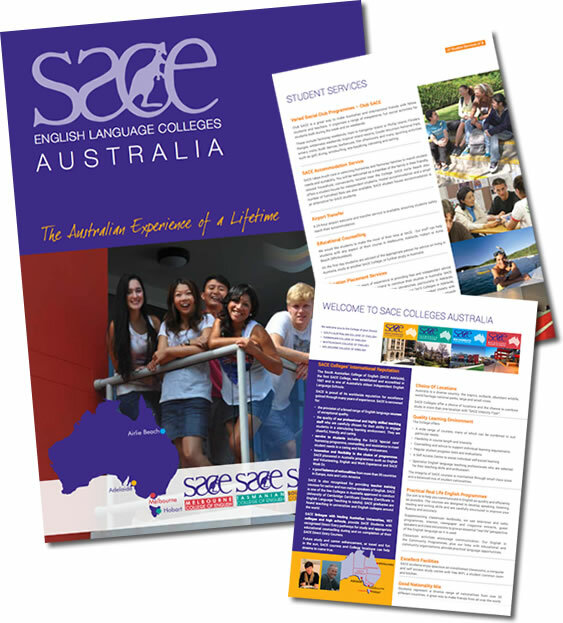 Established in 1987, SACE Adelaide is one of the oldest English language colleges in Australia. The campus is located in the city centre of Adelaide, close to the city square, shopping mall, markets and major public transport hubs. Students can choose from a wide range of English language courses to suit their needs, including General English, Academic English, IELTS Preparation and High School Preparation. SACE Adelaide has strong partnerships with tertiary and high school institutions in Adelaide for students interested in further study after their English course. Adelaide is a medium sized Australian city, well known for its beautiful beaches, festivals and food and wine industry. SACE English colleges prides themselves on providing quality English courses. Our aim is to help our students develop their English skills in speaking, reading, writing and listening as efficiently as possible while studying in an exciting learning environment. Fill out your details below to get access to one of our brochures with information about all of our colleges. 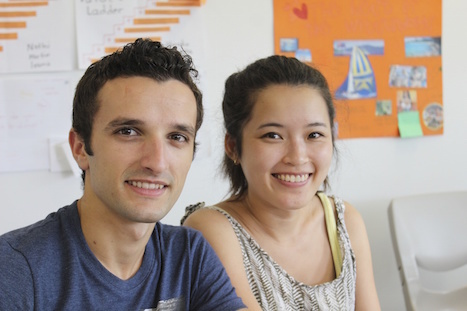 SACE teachers are both university and TESOL qualified. SACE has two campuses located in Adelaide & Melbourne. We want our students to have the best experience possible and so SACE provides a wide variety of support services including learning assistance, accommodation, job opportunities and educational pathways. 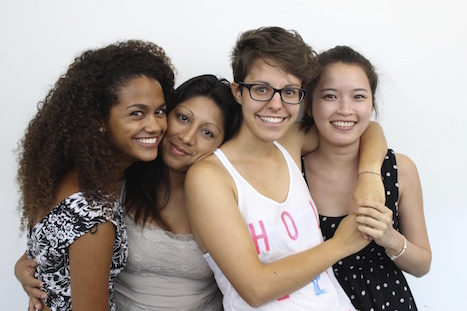 SACE has a diverse nationality mix with students coming from Europe, Asia, South America and the Middle East. SACE offers a variety of accommodation options including homestay, hostel, apartment and shared accommodation. With Modern facilities including spacious classrooms, wifi, student kitchen and common room, students can relax during their study breaks. Thinking about studying at an Australian university or vocational institution? SACE has many pathways to further study after the completion of an English language course and can help guide you to your next study destination.